* Dropped several Billions in Cash and over 80 Buses. In what seemed like a grand looting and waste of scarce fund in the coffers of the Ondo State accounts where the governor, Oluwarotimi Odunayo Akeredolu is still having problems offsetting Salaries and Pensioners arrears, the Executive Governor of the state has gone on a bazaar like donation to the Buhari Campaign Fund. Daily Watch Findings Confirmed that the Governor days ago dipped his hands into the Ondo State Accounts domiciled with one of the New Generation Banks to pay for 80 buses and several billions of Naira he recently donated to the Buhari Campaigns even in a time the State is still having Serious issues with Salaries of some of its Workers and thousands of Pensioners who have been on death row as a result of starvation due to the state’s refusal to meet up their debt to them. This Donation which enormously contravenes all known laws of INEC as regards funding for campaign and in breach of the EFCC threats shockingly got no reactions from the two bodies which seemed unconcerned with the acts of the Ondo state governor. 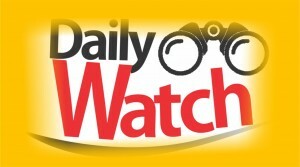 Attempts by Daily Watch to Speak with the EFCC spokesperson over their silence on the Ondo Governor breach of laws and EFCC directive and watch over funding of Campaigns got no response despite over six text messages to the EFCC spokesman Tony Orilade.